For courses in Advanced Automotive Electricity and Electronics. Advanced Automotive Electricity and Electronics is specifically designed for the second semester of an automotive electrical systems course. 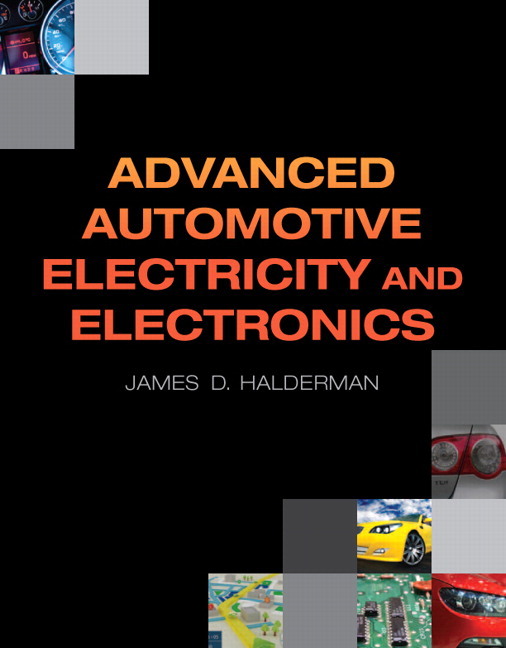 The first 12 chapters offer solid review of foundational automotive electronics service and repair procedures, with the subsequent 17 chapters covering advanced topics, such as chassis systems, HVAC, and hybrid electric vehicles. The text's short chapters focus on a specific system or topic, making it easier for instructors to assign reading and easier for students to master the material. Designed to make it easier for instructors to teach the course and for students to learn and apply the content. Content is broken down into 29 short chapters, making it easier for instructors to assign brief sections of the text or an entire short chapter for reading. Each concise chapter offers review questions and a quiz focused on a specific system or task, making it easier for students study and learn the material. Bulleted lists and numbered steps throughout the text break the material down for easy reading. The text's teaching and learning package includes an Instructor's Manual, PowerPoint slides, computerized test bank, and a companion website. A Spanish translation of the entire text is available for download on the book's companion website. Gives students real-world insight on how the material is applied in the automotive service industry. Tech Tips, Frequently Asked Questions, and Real World Fix boxes throughout the text provide real-world examples of how service and repair procedures are applied on the job. Hundreds of the author’s color photos are used to show real automotive components, including examples of defective parts. Seeing the actual part instead of a line drawing helps students better understand the system and the components involved. Written by an experienced automotive instructor–not a technical writer–the text provides sound explanations of how systems work, explained from the point-of-view of a technician and automotive instructor rather than from an engineer or salesperson. Provides the essential skills students need for their automotive electrical systems course–not only explaining how a system works, but also how to check for proper operation and identify faults that can be detected visually. Chapters focused on individual systems, such as electric power steering (EPS) or automatic temperature control (ATC), make it easier for instructors and students to concentrate on just one area rather than trying to cover multiple systems in one chapter.